As one of America’s oldest cities, Boston, MA has a rich history. With roots to colonial America and the early settlers of the United States, many travelers visit Boston every year. Not surprisingly, a good number of those travelers visit via cruise ship. 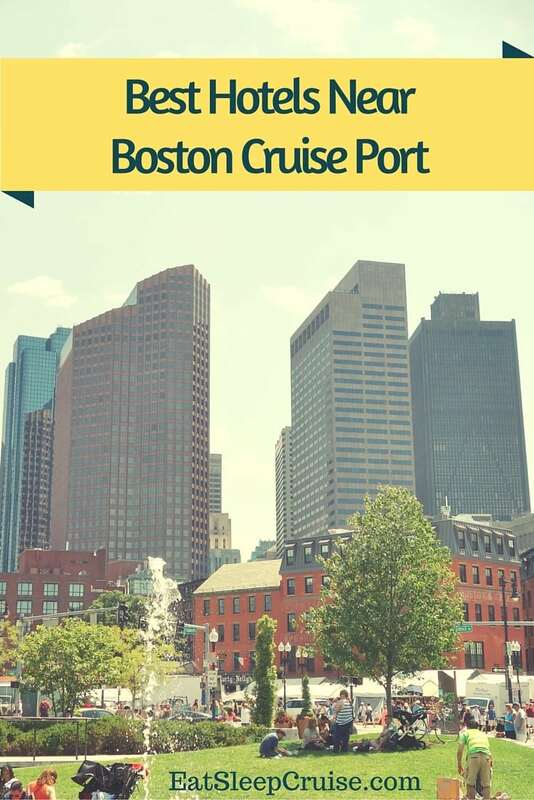 However, Boston, MA is also a seasonal home-port, offering cruises from major cruise lines including Norwegian Cruise Lines, Royal Caribbean, and Holland America. The various ships that call Boston home for the cruise season, which normally runs from May to late October, bring travelers up and down the East Coast of the United States and Canada and south towards Bermuda and the Caribbean. If your next cruise departs from Beantown, you are probably searching for hotels near Boston Cruise Port. 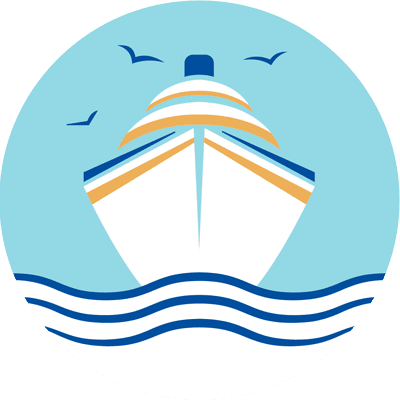 We encourage all travelers making their way to our backyard to consider spending at least one pre-cruise or post cruise day in this Northeast metropolis as there is so much to see and do in the city. 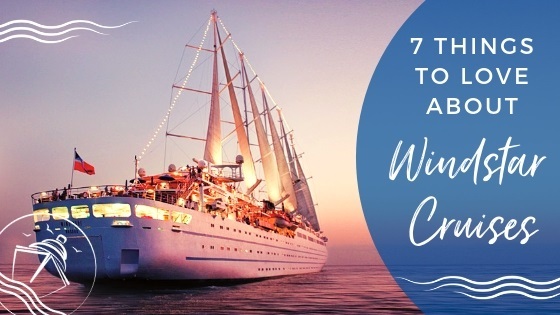 To help cruisers find the perfect accommodations, we have come up with our list of the best hotels near Boston Cruise Port. To compare prices for hotels near Boston Cruise Port, we used prices quoted on each hotel’s website (where applicable). We tested the same night, for two adults, in a standard room. 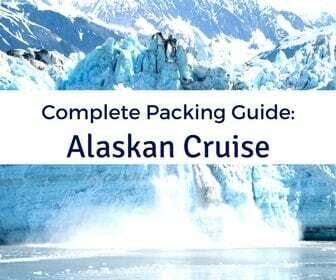 We picked a pre-cruise stay on October 15th (approx. 90 days out), the night before a Norwegian Dawn Bermuda Cruise, a cruise that occurs frequently throughout the Boston cruise season. Located just south of Boston, with easy access to the major city highlights, is the Best Western, Adams Inn in Quincy, MA. 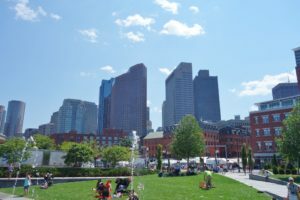 With Beantown Trolleys departing right from the hotel, you can easily see all of the city landmarks and major attractions, while saving money by staying outside the city. Travelers are also within walking distance to public transit, making this small hotel near the Boston Cruise Port the perfect place for those on a budget. 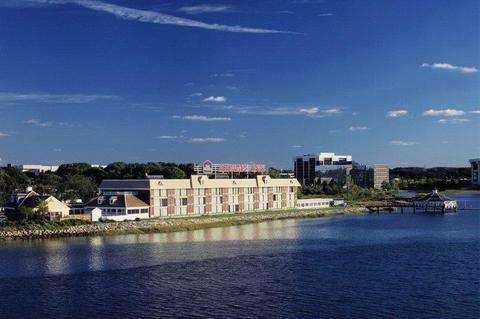 With fully equipped rooms, some with a water view, the hotel provides travelers with many of the amenities and services you would expect from a more expensive downtown hotel. 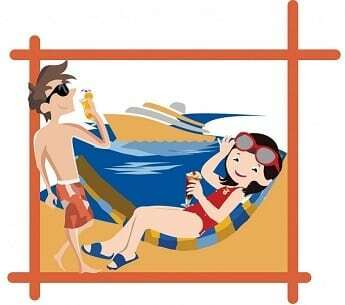 Free WiFi is included on all stays, as is a “hot breakfast”, ensuring you will be ready for embarkation day. There is also a seasonal outdoor deck with entertainment for those who rather unwind pre-cruise. 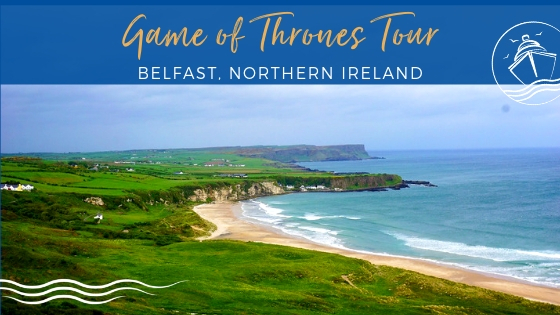 The hotel also offers a Park, Stay, and Travel Package that includes free parking up to 14 nights and round-trip travel to and from the pier. For our test night, this package costs a total of $259 (pre-tax) for a king bed. You do need to book the shuttle in advance, and if you are traveling from Logan Airport, you may have to arrange airport transportation through the hotel separate from the package. 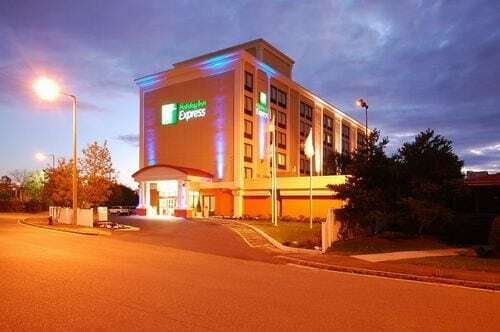 Also located south of Downtown Boston, the Holiday Inn Express Boston gives travelers plenty of options to see the city, with easy access to and from many of the city’s most popular attractions. 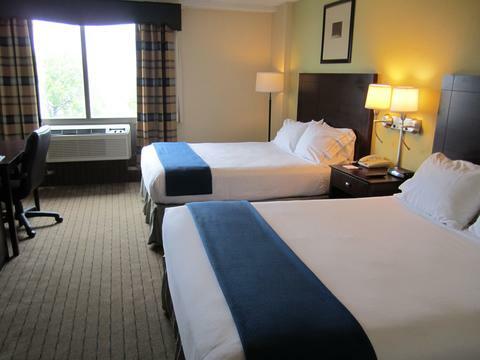 With spacious rooms and bathrooms with granite counter tops, you will feel right at home at this well appointed hotel. Among the room features are the “triple sheeted beds” ensuring you get a great night’s sleep before your vacation “officially” begins on your cruise. Other features include free WiFi, a fitness center, and outdoor “breakout room” that allows visitors to enjoy the beautiful Boston weather while at the hotel. All accommodations also include a hot breakfast featuring the brand’s famous cinnamon rolls. For our test day, the Park, Stay, and Go Package at this hotel came in at $349 (before tax) for a king bed suite. 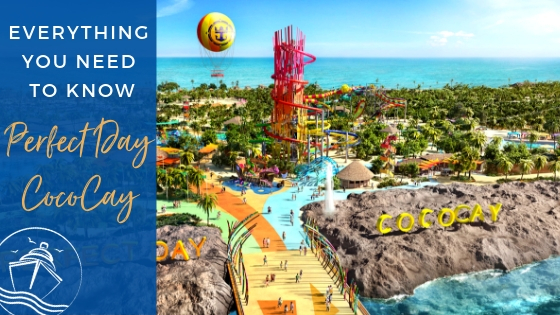 In addition to all of the amenities referenced above, this package includes free parking for up to 14 days, as well as a round-trip shuttle service to the cruise port. A shuttle is also available to pick travelers up from the airport, which is about five miles away from the hotel, for an additional $5 a passenger. With ocean views and nautically themed rooms, the Renaissance Boston Waterfront Hotel is exactly what you pictured when you envisioned spending the evening in Boston. If you are looking for elegance with a sense of modern class and style, then this is THE HOTEL for your pre-cruise or post cruise stay. 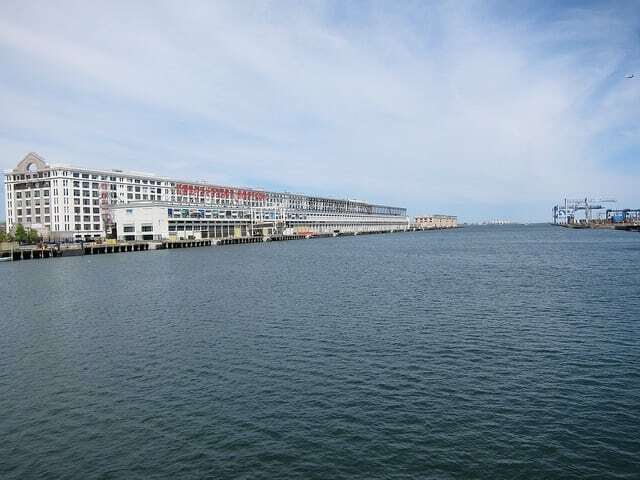 Located in one of the trendiest districts in Boston, the Seaport District, this hotel is within walking distance to the cruise port. This urban hotel offers a Personal Navigator who suggests things to do or places to dine while you are visiting this great city. With plenty of options for self indulgence while staying at the Renaissance, including sleek lounges and an indoor lap pool, you will start your vacation off feeling relaxed and pampered. 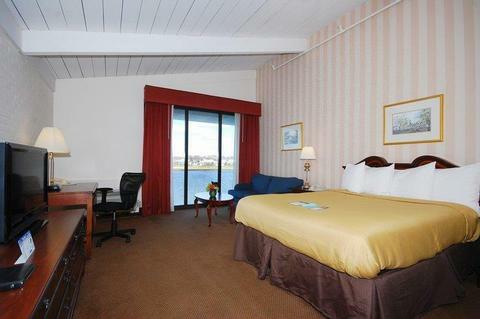 With superb bedding and views of the Boston Harbor, the rooms at Renaissance Boston Waterfront are perfect for your pre-cruise stay. For our test night, a king bedroom started at $499 (pre-tax). This rate, of course, does not include transportation to or from the airport, which is estimated to be about $25. Parking is limited at the hotel and costs over $45/night, so cruisers with a vehicle are better off parking at the cruise port’s off site garage, which costs $18 a night with a valid cruise ticket. WiFi is available for an additional cost starting at $12.95/day. One of the newest hotels near the Boston Cruise Port, The Envoy Hotel is one of the hottest spots in the Seaport District, which has now become the trendiest neighborhood in Boston. From the architecturally stunning glass facade and the perfectly laid out rooms, this hotel will make you feel like a celebrity. Modern and efficient design is showcased in rooms “oriented toward the water” offering unique city views. Every square inch of space is maximized in these standard hotel rooms to ensure travelers have everything they need, right when they need it. For our test weekend, a king bedroom started at $467(pre-tax), making it one of the pricier hotels near the Boston Cruise Port. This does not include any transportation to or from the pier, which is about 1.5 miles away, parking, or transfers to Logan Airport. WiFi is complimentary. If you are looking to fully experience this hotel, then you should consider grabbing a few drinks at the Lookout Rooftop Bar at the Envoy. Get there early, as locals will stand in line for over two hours to make their way to the newest hot spot for a few drinks and amazing city views. 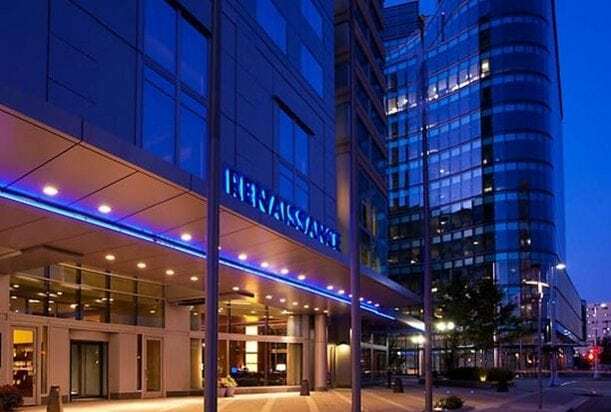 Located right next to Boston’s Logan Airport, the Embassy Suites – Boston at Logan Airport provides cruisers with large accommodations and more amenities, without breaking the bank. All rooms are two room suites, with a bedroom and separate living room with work space. 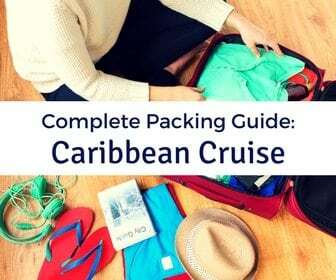 Here, travelers have plenty of space to spread out before a week in those cramped cruise cabins. Located only a few miles from downtown, transportation on the city’s subway (the T) or an inexpensive Uber ride can have you in the center of the city in no time. The hotel provides 24 hour shuttle service to and from the airport and free WiFi for your stay when you sign up to be part of the Hilton Honors program or available for $9.95/day. 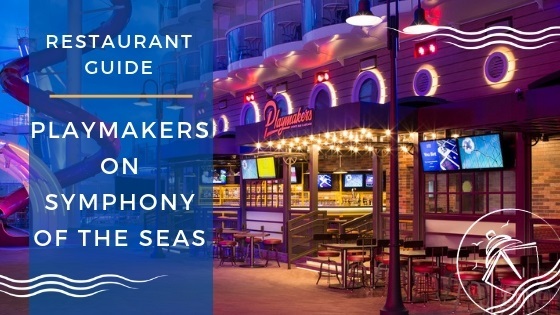 Like all Embassy Suites, your stay includes a nightly reception with snacks and drinks and a made to order breakfast which takes place in the hotel’s large lobby, making it the place to meet and mingle with fellow cruisers. A standard king bedroom for our test weekend cost $329 (pre-tax). If you want to do a park and stay package, which includes 7 days of parking, it is going to cost another $150, making this hotel a better option for those flying in rather than driving in to cruise. 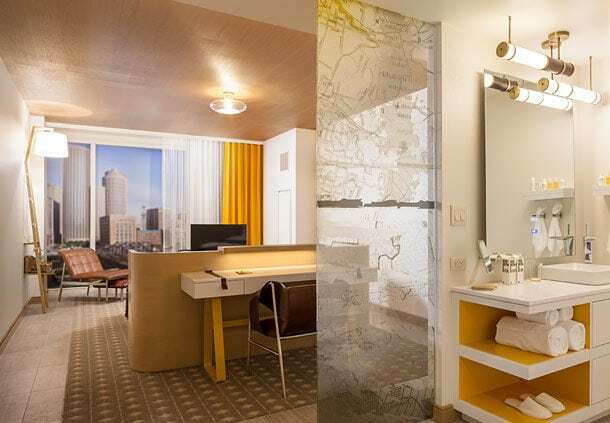 While not located too close to the cruise port, the Liberty Hotel in downtown Boston offers a one-of-a-kind travel experience. This five star hotel was once the location of a city jail, and much of the original structure is still intact. Travelers can “do time” at this hotel by staying in one of the “jail rooms”. 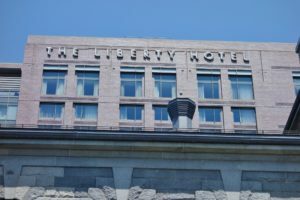 Find out more about the Liberty Hotel in our complete picture review. Located within walking distance to both Cambridge and the Boston Common, a standard king bedroom at the Liberty was going for $525 (pre-tax) for our test weekend. Parking is $49/day and complimentary WiFi is provided. With so many options to choose from when sailing from Boston, MA, you might feel overwhelmed. 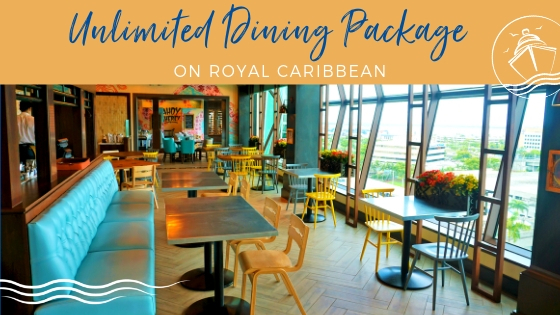 However, one of these hotels near Boston Cruise Port is probably perfect for you and your family depending on your travel style and budget. Now, all you have to do is book a room. Or, perhaps you should start with booking a cruise! 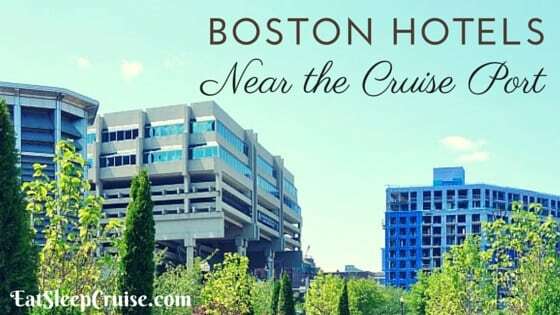 Have you stayed at any of the hotels near Boston Cruise Port? Do you have a recommendation or caution regarding any of the hotels listed? Drop us an anchor below to let us know about your pre-cruise or post cruise hotel experiences when sailing out of Boston, MA. Help your fellow travelers find the perfect accommodations for their vacation!